fastjet have expanded their ancillary product offering to include the option of pre-booking preferred seats when travelling to or from any of their seven destinations. 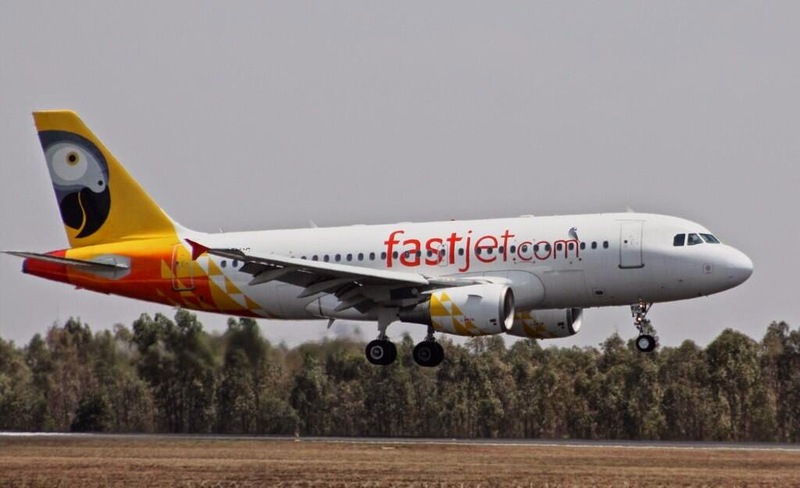 fastjet, the low-cost pan-African airline, has introduced a pre-paid seating option on all flights to and from its international and Tanzanian domestic destinations from 3rd July 2014. All passengers flying to and from the airline’s seven destinations will continue to be assigned a seat free of charge when checking in at the airport, but they now have the option of selecting and paying for a preferred seat when booking their flights, or adding this preference to their booking up to 24 hours prior to their flight departure. There are two types of allocated seats available for purchase across fastjet’s fleet of A319 jet aircraft. Passengers can pay US$5 per seat one-way for premium seats in the ‘quick-exit’ rows 1 and 2 at the front of the aircraft and for the ‘extended legroom’ seats situated in row 11. If there is a particular seat that passengers want to book, that is not in one of these premium rows, they can pay just US$3 per seat one-way. “Everyone has their own favorite seat when flying, whether it’s to take advantage of extra legroom, be seated on the aisle, next to a window or at the front of the airplane,” says Ellis Cain-Jones, Head of Commercial at fastjet. The launch of the pre-booked seating option adds to fastjet’s current added service offerings, such as being able to rent a car, book accommodation and pre-book airport parking with any flight booking. “We will continue to assess and introduce other products that will make our passengers’ travels more comfortable and convenient,” Ellis adds. fastjet operates internationally from Dar es Salaam to Johannesburg, Lusaka and Harare, and has a significant Tanzanian domestic network including flights from Dar es Salaam to Mwanza, Kilimanjaro and Mbeya.